Since 1953, Tools & Hydraulics has serviced professional grade tools and equipment. Our shop, located in Chattanooga, TN, is factory certified by over two dozen equipment manufacturers. We offer replacement parts in our shop and online. Our customer service reps are backed by the knowledge that you can only get from 65 years of repair experience. Below we've listed some of our more popular products & current specials. Use the navigation section at left above to search for the parts and products you need. NEW - VISIT OUR NEW "FORK LIFT JACK PAGE" FOR YOUR FORK LIFT JACK REQUIREMENT. DON'T THROW THAT OLD NON-WORKING JACK OR PORTO-POWER AWAY! BLACKHAWKPARTS.COM is a leading supplier of REPAIR KITS, PARTS, ACCESSORIES and NEW EQUIPMENT for most major brands of HYDRAULIC JACKS and TOOLS, PUMPS and RAMS and HYDRAULIC PALLET JACKS. We have a SECURE SHOPPING CART to allow you to place orders on-line over an SSL secured line. PayPal users should look for the PayPal link on our Shopping Cart. 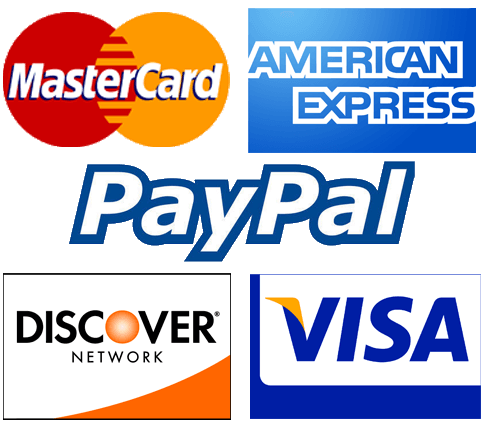 We accept the following forms of payment American Express, Discover, MasterCard, Visa and PayPal. Shipping charges displayed on the Shopping Cart are for packages going to business addresses in the lower 48 states. Shipments to residences, Alaska, Hawaii, Canada and other out-of-the-USA will be charged the actual shipping costs. CONTACT US! Use the CONTACT US link in the top menu. SECURE SHOPPING... BLACKHAWKPARTS uses Secure Socket Layers (SSL) technology to hide your personal information from other users on the Internet. BLACKHAWKPARTS also has strict Privacy Guidelines, which clearly describe how BLACKHAWKPARTS collects, uses and protects your information. Because BLACKHAWKPARTS has such highly developed security, you must have an advanced web browser to exchange information with BLACKHAWK. If you don't have a web browser that works with our Web site, download a free copy of Mozilla Firefox or Microsoft Internet Explorer.